Westlake Financial Services is taking additional steps to shield itself from potential fraud. 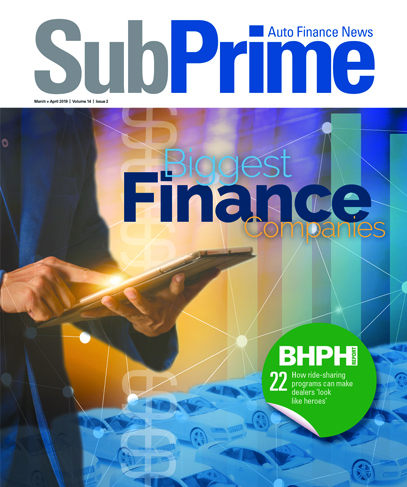 On Tuesday, PointPredictive, the San Diego-based machine learning company, announced that Westlake is its newest auto-finance client. As part of this relationship, Westlake will use the company’s scoring solution, Auto Fraud Manager, to identify misrepresentation and prevent default on high-risk applications while streamlining the approval of the lowest risk applications to improve the consumer and dealer experience. Westlake selected PointPredictive after analyzing the results of their retrospective test and live pilot. PointPredictive launched Auto Fraud Manager in February 2017 to help address the $6 billion annual problem of misrepresentation and fraud that plagues the auto-finance industry. Auto Fraud Manager uses machine learning to mine historical data from applications across the industry to precisely pinpoint where fraud is happening. More than 60 million applications have been evaluated and scored by the system which is continuously learning new patterns as they emerge. And now PointPredictive is tasked with helping finance companies from being swept into schemes like this one based in North Carolina that stretched over a three-year span, according to federal prosecutors who recently secured a conviction. “PointPredictive is thrilled to be partnering with Westlake to help them better target fraud and misrepresentation that leads to losses,” PointPredictive chief executive officer Tim Grace said. For more information about leveraging Auto Fraud Manager or participating in the PointPredictive Auto Lending Fraud Consortium, send a message to info@pointpredictive.com.